-Sign up for a Button Up! Morning view of Mt. 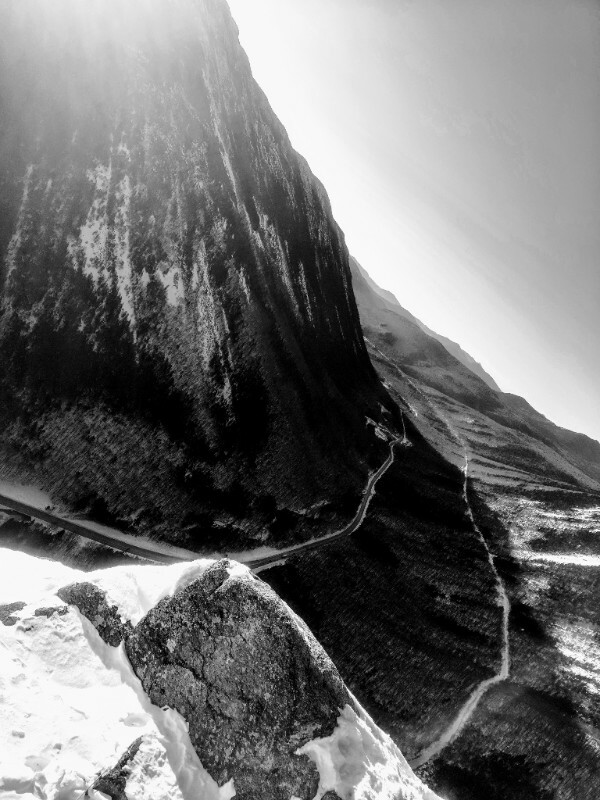 Jackson and Crawford Notch looking south from Mt. Willard. NHSaves contributed to 149 municipal energy efficiency projects in 65 NH Cities and Towns in 2017! Thanks NHSaves! Nashua, inspired by Energize 360 in the Seacoast, Solarze and Weatherize Upper Valley, and the growing tradition of public outreach campaigns releases RFP to solar and efficiency industry. Temple citizens unanimously approve Warrant Article to establish voluntary Task Force to evaluate options for switching municipal energy usage to 100% clean renewable energy by 2030. Several other NH cities and towns are considering similar renewable energy goals. According to GHG Emissions report, municipal emissions in the City of Keene decreased by 25% between 1995-2015. Community-wide emissions, however, are only down ~3%. Read full report here. Clean Energy Collective has proposed a 5 megawatt solar project consisting of five, one megawatt groups near a residential area in Sanbornton NH. The project is meeting with mixed response from the townspeople, due to the proximity of Sanbornton’s Historic District. One section of the project is actually within the bounds of the district. The project involves a lease of five separate parcels belonging to the Giunta Family on Tower Hill. 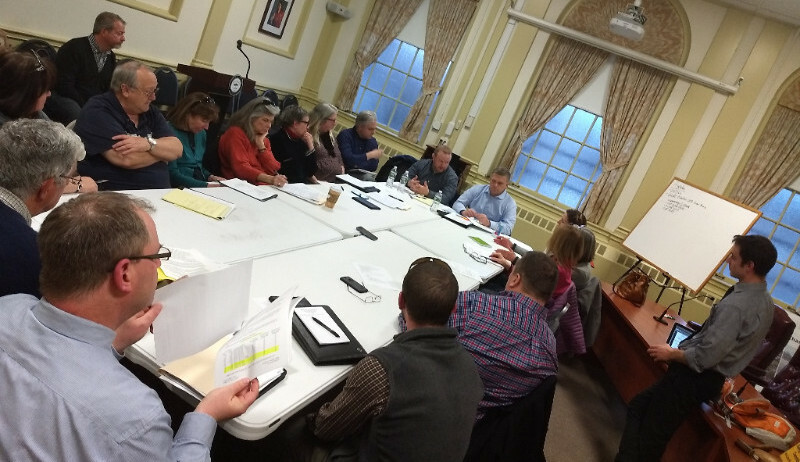 The Sanbornton Planning Board will be reviewing the permit application this spring. Read former Department of Environmental Services Commission Tom Burack's article in NH Business Review on policy and transit electrification here. Governor Sununu announces more than $4 million in funding for electric vehicle charging infrastructure at Energy Week before several hundred participants from across New Hampshire's clean energy economy. Town of Loudon voting to establish Energy Committee and Alternative Energy Capital Reserve Fund, one of scores of energy-related town meeting votes that took place this March. Unitil employees working with officials representing seven municipalities to understand opportunity of LED streetlight conversions in the Seacoast region. 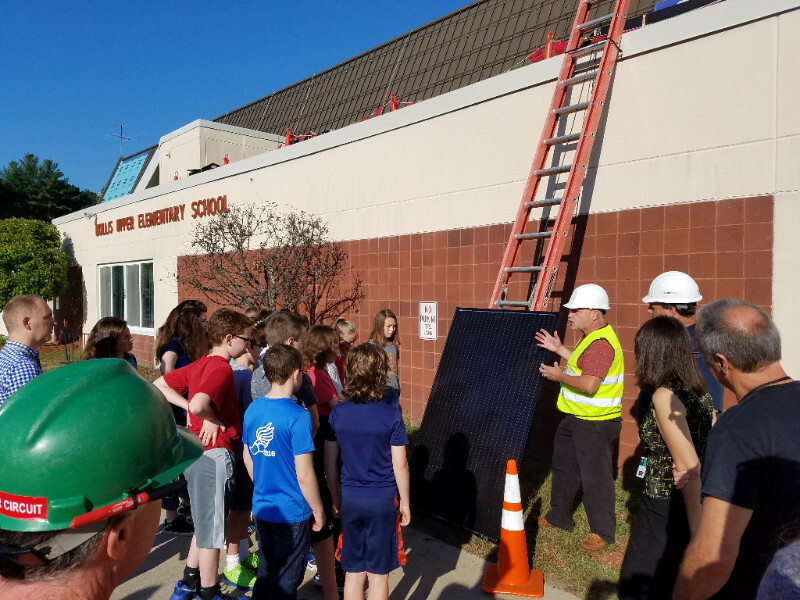 Putting solar panels on the roof of a school will help save money and reduce environmental impact but it does not necessarily mean that it will help students learn. But by working with the Solar On Schools Program developed by New England Commercial Solar Services and their two brand new rooftop 125kW solar PV systems on the Hollis Primary and Upper Elementary Schools Hollis educators have the educational and technological resources to include solar data and design information into the classroom to help with Science Technology and Mathematics (STEM) education. Check out HAREI's awesome "How To" guide for home solar, complete with an easy to use Excel cost-modelling tool here! Check out NH Wood Energy Council's interactive map of more than 100 NH commercial biomass facilities here! USDA Rural Development is seeking applications for fiscal year 2018 Rural Energy for America Program (REAP) funding. The program helps agricultural producers and rural small businesses install renewable energy systems and make energy efficiency improvements. Applicants can apply for a grant to fund up to 25% of the total project costs. Energy efficiency grants can range from $1,500 to $250,000 while renewable energy grants range from $2,500 to $500,000. In fiscal year 2017, REAP awarded 15 grants totaling $528,000 to New Hampshire agricultural producers and small businesses. Examples of projects include, but are not limited to, the installation of wood pellet systems, solar panels, insulation, energy efficient lighting, compressors, and reverse osmosis machines. Application information can be found on the USDA’s website. CONTACT: Energy Program Coordinator Ken Yearman at (802) 828-6070 or kenneth.yearman@vt.usda.gov. Spring applications are due by April 30, 2018. Three Energy Expos in a Single Day? Don't miss out this Saturday! Please join us for the 2018 Ammonoosuc Energy Expo! The Expo includes a trade show, workshops on energy efficiency and conservation, and keynote speaker Ben Southworth of Garland Mill Timber Frames. See full agenda here. Please join us for the 2018 Kearsarge Region Energy Expo! Hosts: Kearsarge COA's Climate Action Group, New London Energy Committee, Andover Energy Committee. Please join us for the Central NH Energy Expo! There is no charge to attend and everyone is welcome. The Energy Expo will feature a gymnasium full of energy related vendors coupled with interesting energy workshop sessions held throughout the event. Join us for an evening with local researchers and community representatives discussing how coastal groundwater will rise with sea level, and the impacts to water quality, infrastructure, and ecosystem health. The Public Utilities Commission has release a Request for Proposal for solar projects that will serve low- and moderate-income communities. RFP winner(s) will receive grant funding for projects. View March 30th's NH Energy Policy Update Webinar here.